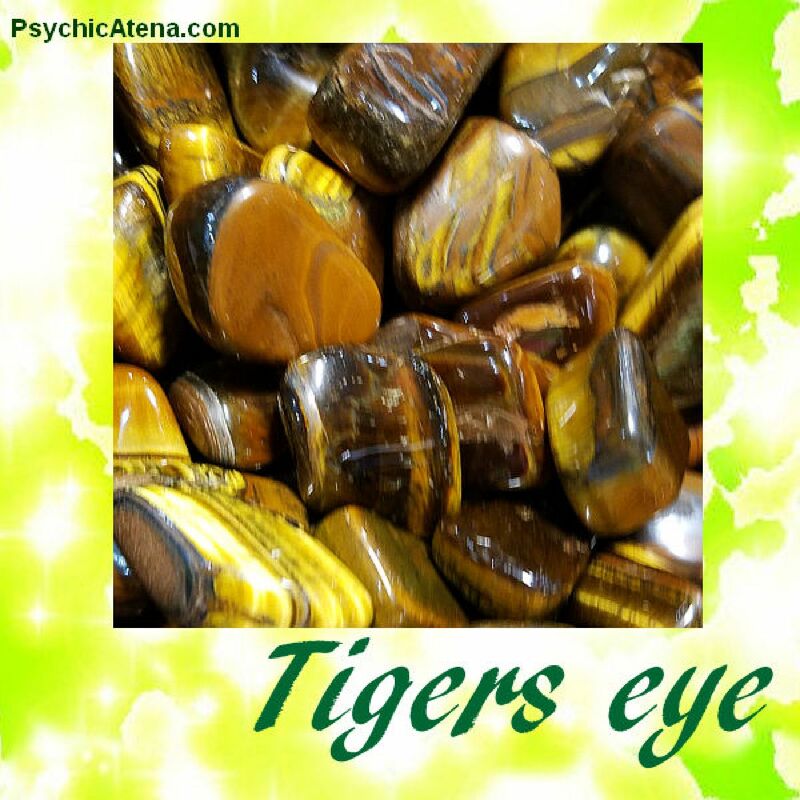 Tiger's eye is a golden-brown chatoyant stone used for ornament and jewelry. Tiger's eye is a form of chalcedony quartz. But it didn't start out as quartz. It began as the fibrous blue mineral called crocidolite, which is made up of iron and sodium. Crocidolite is also known as asbestos. The crocidolite in tiger's eye was gradually transformed into quartz whilst maintaining its fibrous formations. More recently, a new theory of tiger's eye has been proposed that argues that it is not in fact pseudomorphic, but rather forms from crocidolite by a different mechanism, through a series of cracking and sealing episodes. Tiger's eye is found in South Africa, Australia, the USA, Canada, India, Namibia and Burma. Tiger's eye is an amplifier, known as the power stone. It is almost like a cheat-sheet to manifesting with quick acting almost instant reaction to whatever energy frequency is most prominent. Tiger's Eye is however absolutely non-judgmental, it amplifies whatever it encounters, no matter what the vibration. So use it with caution in energy work as it amplifies the good as well as the bad energies without distinction. Tiger's eye has the power to focus the mind, promoting mental clarity, assisting us to resolve problems objectively and unclouded by emotions. With its ability to hone in on one single most prominent frequency, Tiger eye is helpful in stabilizing mood swings, and helps us with willpower, purpose, courage and self-confidence. Inspires power, strength, decisiveness, emotional detachment, objectivity, fairness and justice.